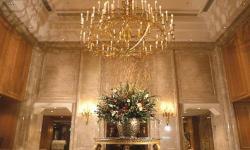 Welcome to The legendary New Grand Hotel in Yokohama, Japan. The Hotel was set up in 1927 to mark the birth of the city after the devastating earthquake in 1923. 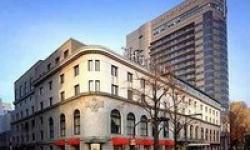 It is now identified as one of the legendary Hotels in the city. 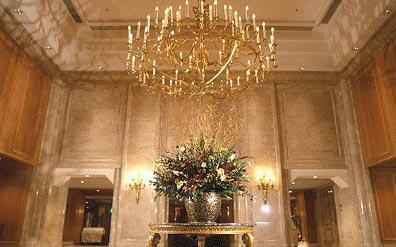 Elegance and charm are often considered the two hallmarks of the New Grand Hotel of Yokohama. The New Grand Tower is an 18 storied building that stands adjacent to the main building of the Hotel. The New Grand Hotel's design is typical of the 21st century European Hotels. The New Grand Hotel in Yokohama assures quality comforts to all its guests and a stay here shall certainly be a pleasant memory. Located very near the city centre, the New Grand Hotel is one of the favored destinations and is noted for its world-class hospitality. Experience the quality service, the luxurious and the spacious rooms of the New Grand Hotel Yokohama. View the spectacular sights of the Yokohama Bay Bridge from the rooms of the New Grand Hotel of Yokohama. All the rooms of the New Grand Hotel of Yokohama are done up in a simple yet elegant style and boast innumerable modern amenities. So make your stay in the city of Yokohama a satisfying one. Revel in the several restaurants of the New Grand Hotel that offer a host of mouth watering dishes. Experience the excellent business centre and the lavishly decorated banquet halls of the Hotel. Acknowledged as one of the oldest Hotels in the city, the New Grand Hotel in Yokohama blends traditional hospitality and warmth with state-of-the-art facilities. The Hotel was revamped in 1992. With the addition of a new tower, the total room capacity has been increased to about 260. It is the attention and care accorded by the staff here that makes the New Grand Hotel in Yokohama one of the most reputable Hotels in Japan.